As I have mentioned in many of my posts before, Nepal has a different calendar than the Gregorian calendar. 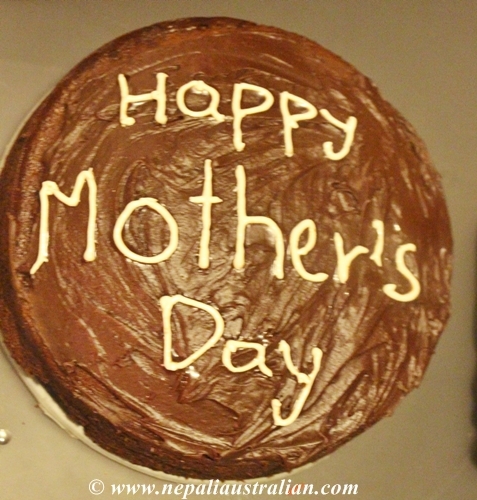 So in Nepal people also celebrate Mother’s day on a different day than the western calendar. 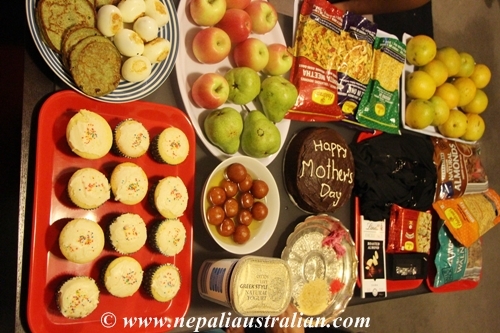 In Australia, Mother’s Day is the second Sunday of May every year but in Nepali calendar, it depends on the moon. It falls on the last day of the dark fortnight of April or early May. This year, it happened to be on 18 April 2015. It is commonly known as Aama ko Mukh herne in Nepal which translates to “Looking at one’s mother’s face”. This year Aama ko Mukh herne was extra special because my mum is here with me. The last time we were together for Aama ko Mukh herne was more than a decade ago so I was really excited. 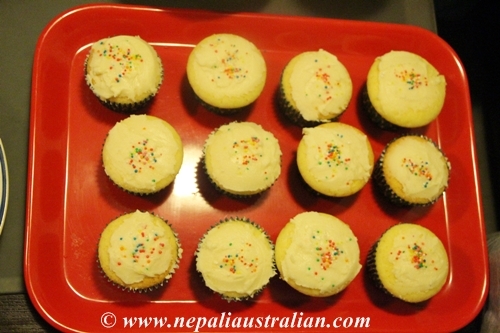 To make the day special for her I prepared Sagun, baked cupcakes and a cake. 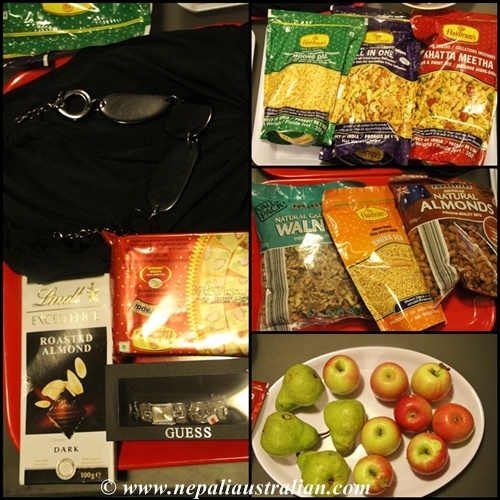 I also bought a dress, a nice watch, fruits, sweets and snacks. It was amazing to do the Aama ko Mukh herne ritual in person as compared to on Skype Aama ko Mukh herne. Mummy was really happy and I am glad I was able to make her feel special. Also this is my first Aama ko Mukh herne as a mum and just looking at Chhori smiling in the morning made my day extra special. So if you haven’t called your mum to wish her, do give her a call and make her smile. And to all the proud moms out there, Happy Aama ko Mukh herne. 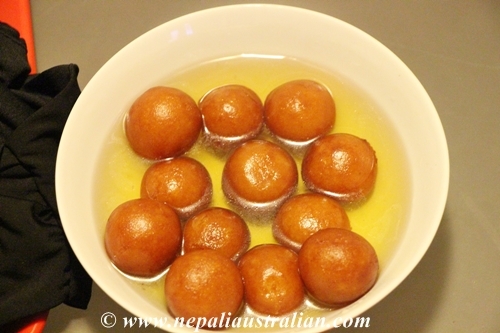 This entry was posted in Nepal, Nepali Culture, Nepali Festivals, Nepali food and tagged Aama ko Mukh herne, Mata Tirtha, Mother's Day, Nepali Mother’s day. Bookmark the permalink. The baby is adorable and you look lovely, dear one. I am so glad you had your Mum visiting. A mother/grandmother is such a welcome visitor with extra hugs and comfort, too! What a wonderful celebration! Here’s to moms everywhere. And a very belated congrats to you and yours for welcoming a baby into your life. And isn’t it a journey? Another mommy friend told me that it keeps getting better. Her twins are about a year older than my single. She is so right! How precious! How nice it must have bred for the both of you to celebrate together. It was such a great feeling to have mum here and to hold my daughter at the same time..